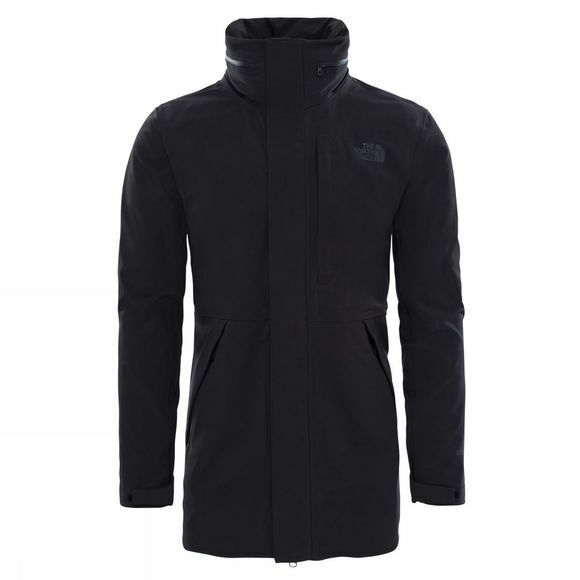 The Men's Apex Flex Gore-Tex Disruptor Parka from The North Face is a stylish coat that offers excellent wet weather protection. 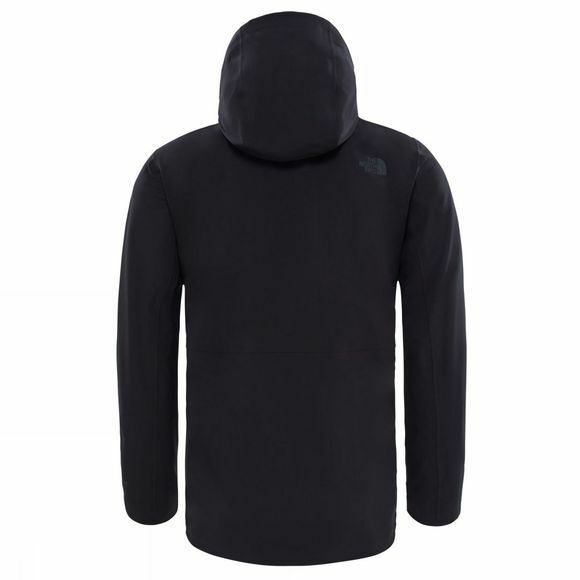 The full length zip has a storm flap to keep the weather on the outside while the hood can be stowed away in the collar when you aren't expecting a downpour. There are two zipped hand pockets as well as a zipped chest pocket for storing essentials and media compatibility makes using your headphones while on the move easy peasy.